This Cemetery can be easily reached because it is located along the highway. Many tourist just pass by the place not knowing it was the Underground Cemetery because it was not obvious that it was indeed a cemetery. 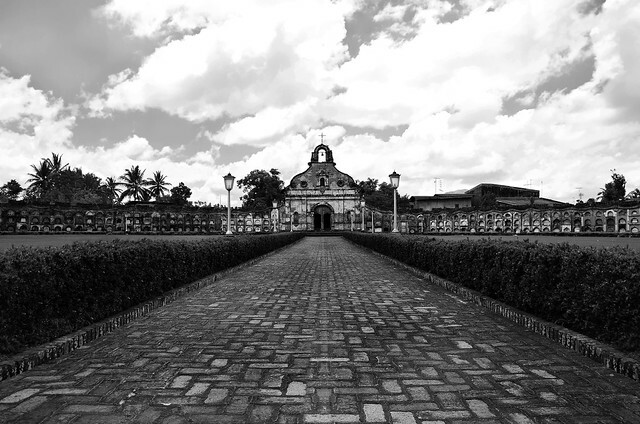 The cemetery is a fine example of Spanish colonial architecture. 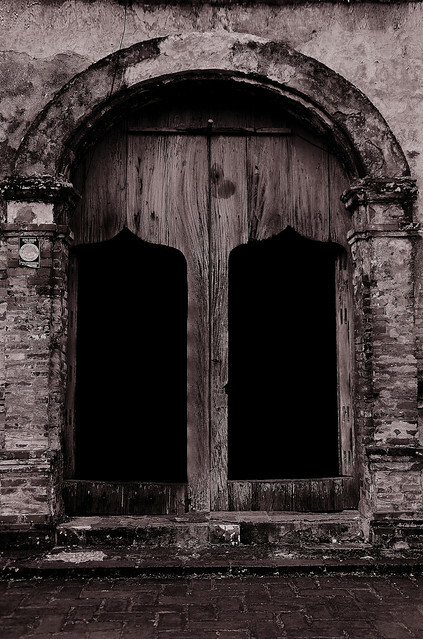 It was built by a Franciscan priest Vicente Velloc in 1845. It has an octagonal grounds which was enclosed by walls. The airy and spacious plaza was impressive. The brick wall and fence were picture perfect. The place was like a park for me, because what you will see when you enter the place was the arched structure and a spacious ground adorned with bermuda grass leading to a small baroque style church. Both sides of the chapel was occupied by the tombs of the locals. The chapel was small with a few pews, according to the one in charge, only three masses was celebrated for the whole year. Inside the chapel you will find a large notebook where all the visitors of the cemetery use to log. There is St. Sepulcro placed in the middle of the chapel. There were also several renovations done but according to the care taker, they are trying their best to keep the original details of the chapel as much as possible. 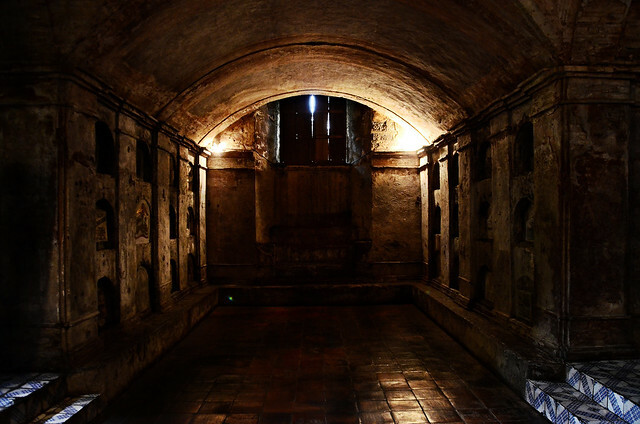 At the right side of the chapel, there is a staircase which leads to the underground cemetery. You will feel that the temperature was a little bit cold when you're going down. It feels really historic down there. It's a bit creepy because we all knew that it was a cemetery after all. There were I guess around 20 tombs inside. We stayed underground for a while trying to read the epitaph on each tomb. The place was somehow dark but there were small openings, small window which allow sunlight to seep through to produce enough illumination. It was like you're in another world, another era. 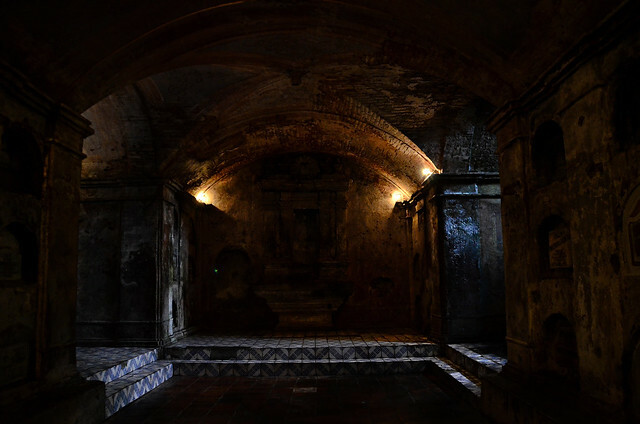 Sitting there reminds me of the scenes in the movie "the Da Vinci Code." It also reminds me of my Alma mater UST. Looking at its structure, it was like the Main building of UST. 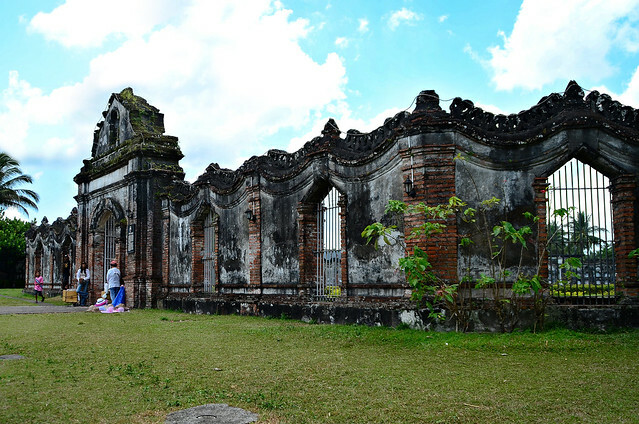 According to the caretaker, before, anybody can be buried there, some were rich, some were priest, some were Cabeza de Barangay and some were just locals. 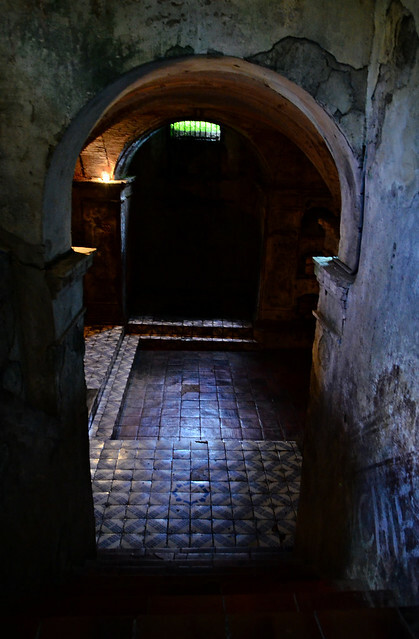 The place was also used as a secret meeting place by Filipino revolutionaries. 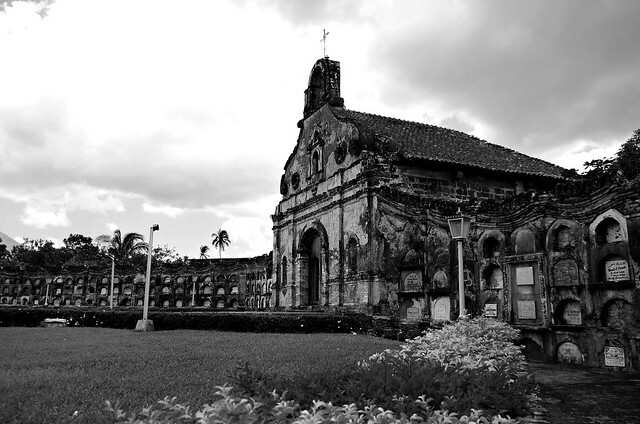 It also became a safe house for Filipino Guerrillas during World War II. There are no entrance fees to be paid. You may take photos of Nagcarlan Underground Cemetery but these should be for your personal use only and no flash is allowed. The place was impressive. It speaks its own beauty without advertising. Leaving the place, I came to realize that life is short and there are so many places waiting for us to be explored. You don't need to spend thousands of pesos just to travel, because travelling should start in your own place, in your own town..here in LAGUNA.